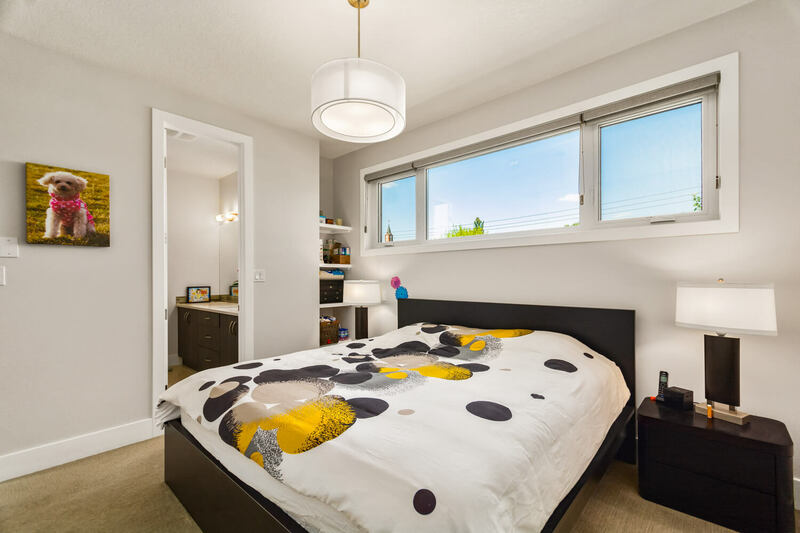 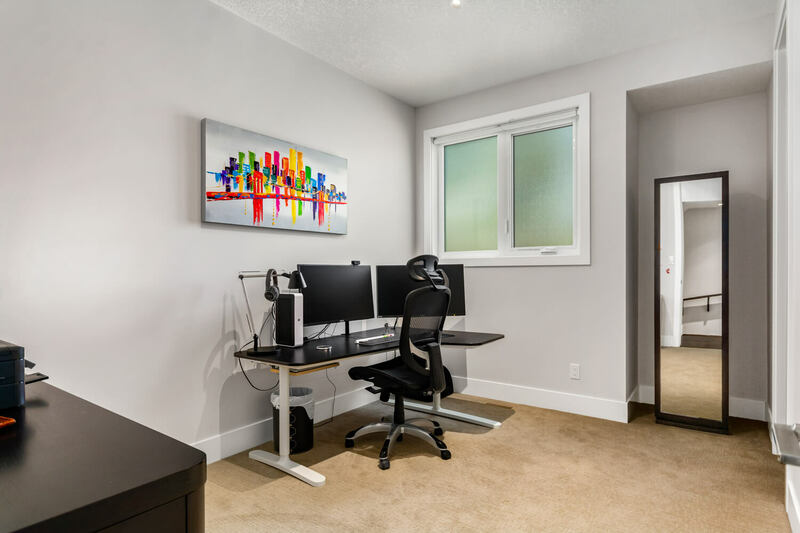 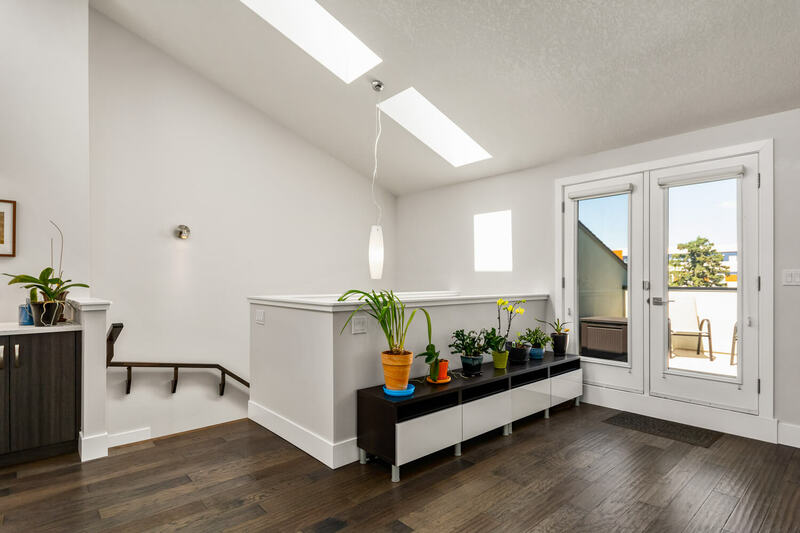 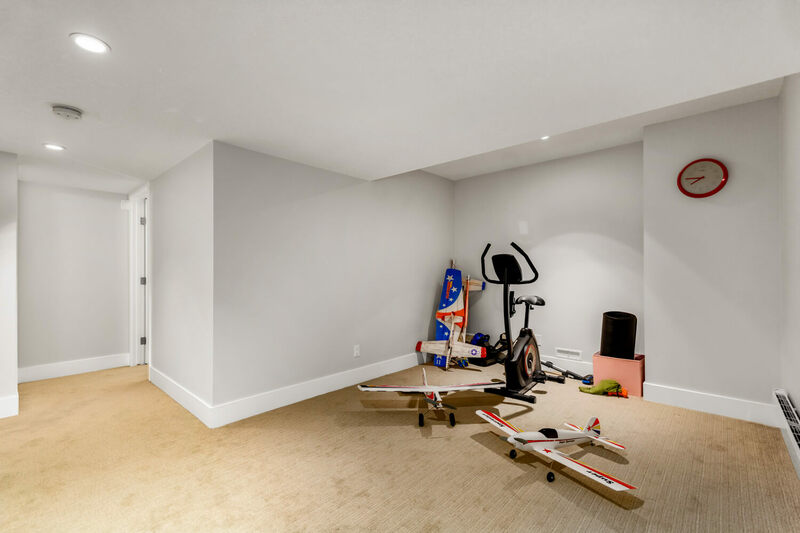 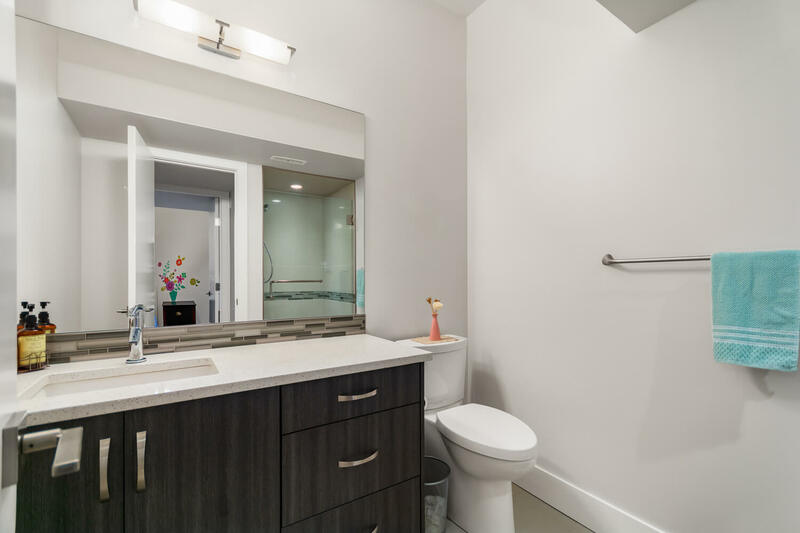 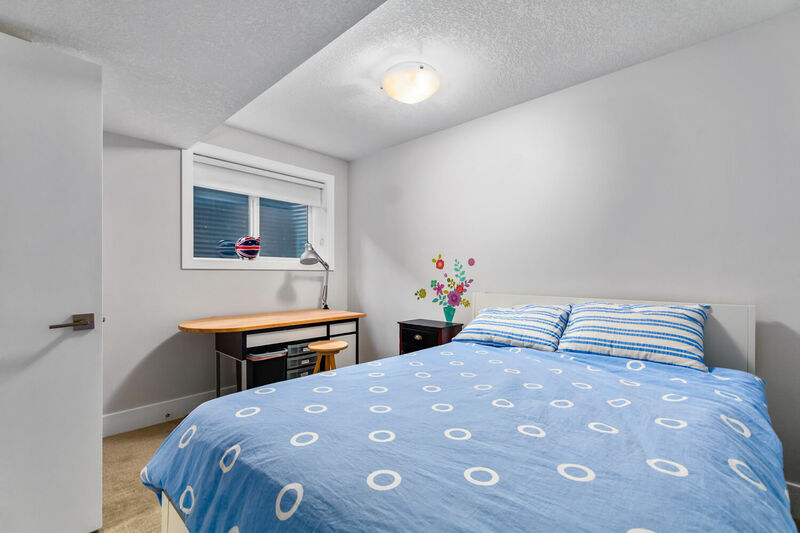 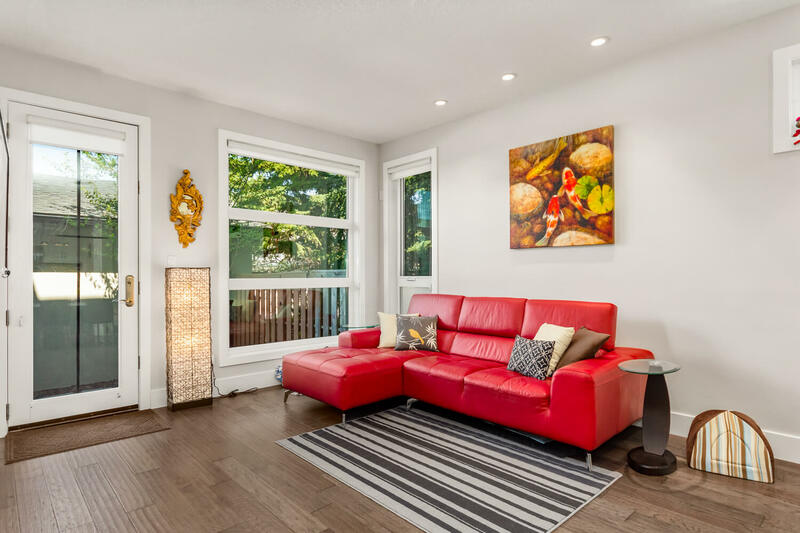 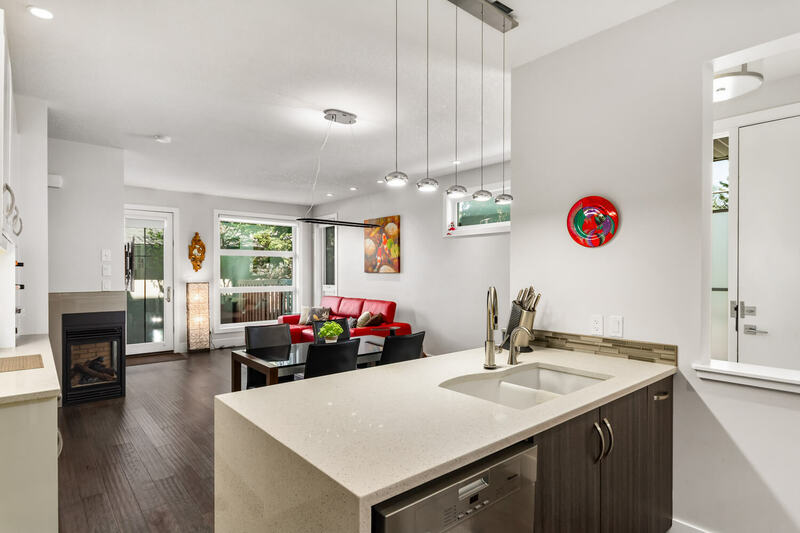 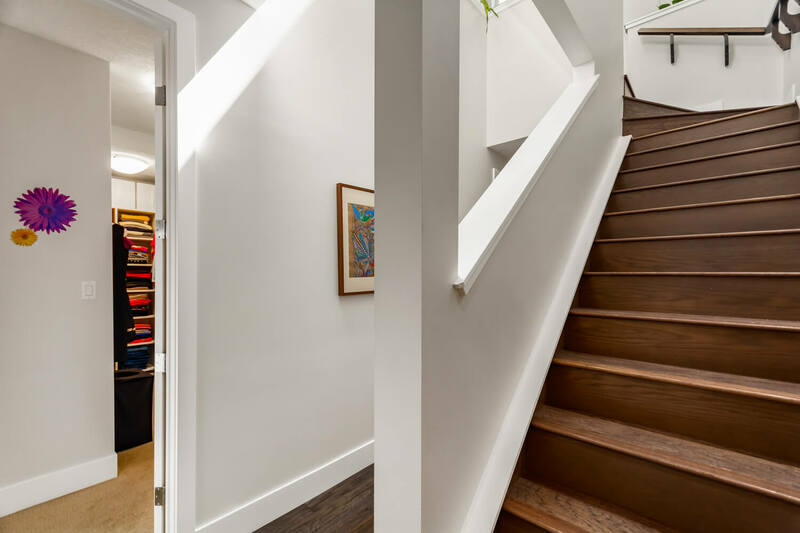 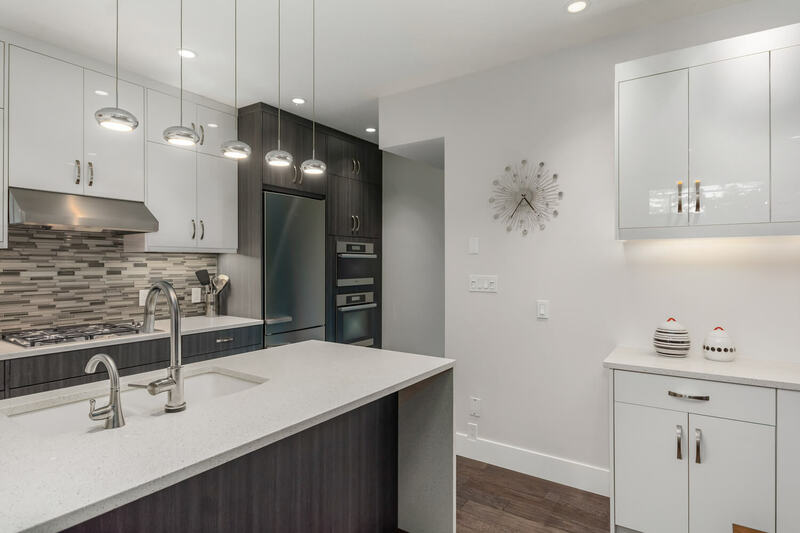 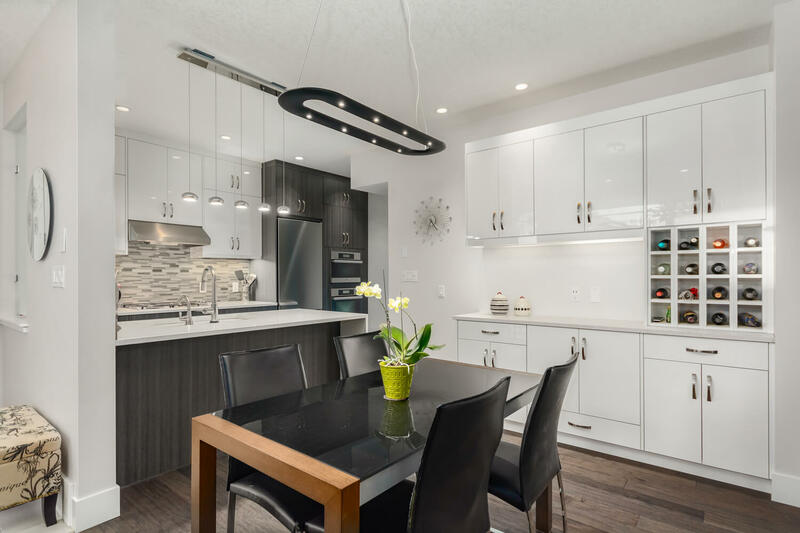 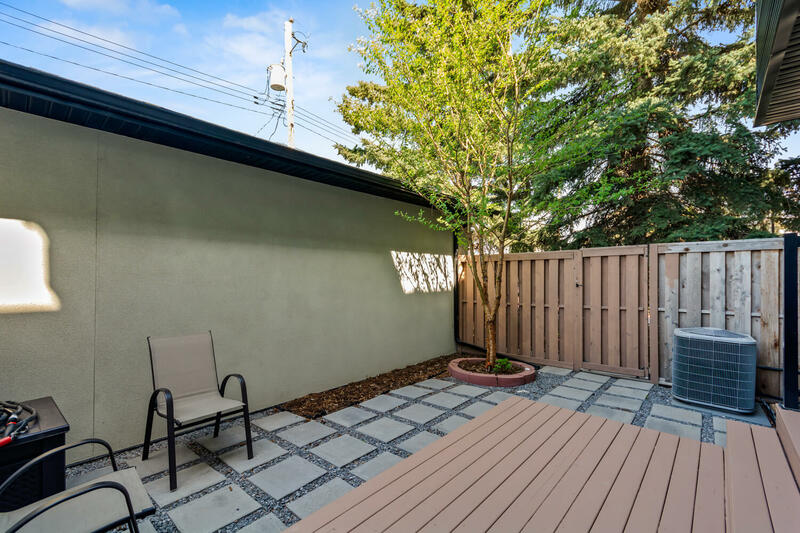 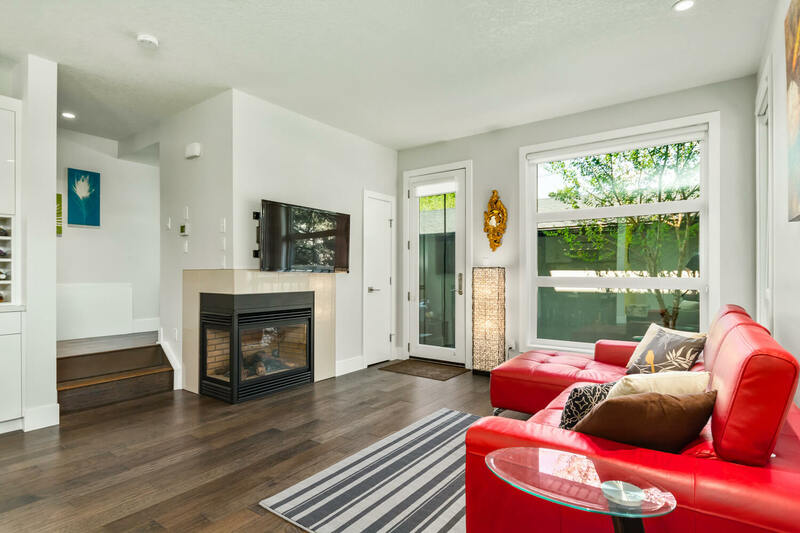 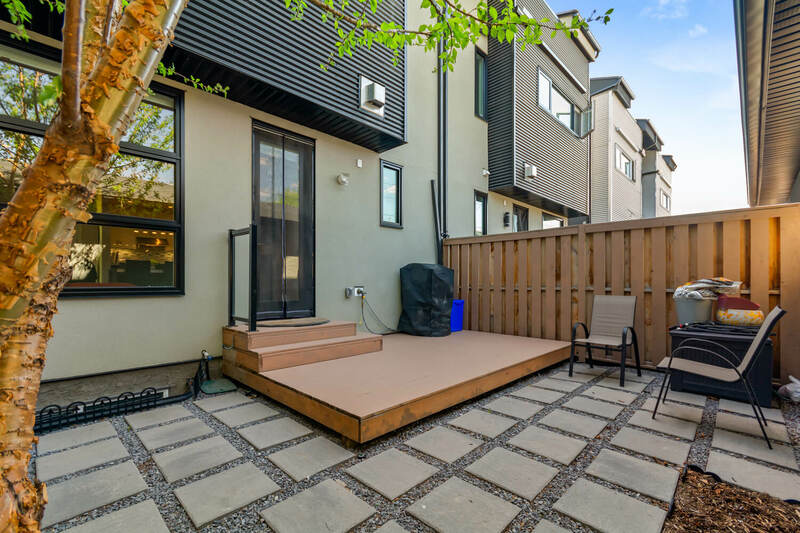 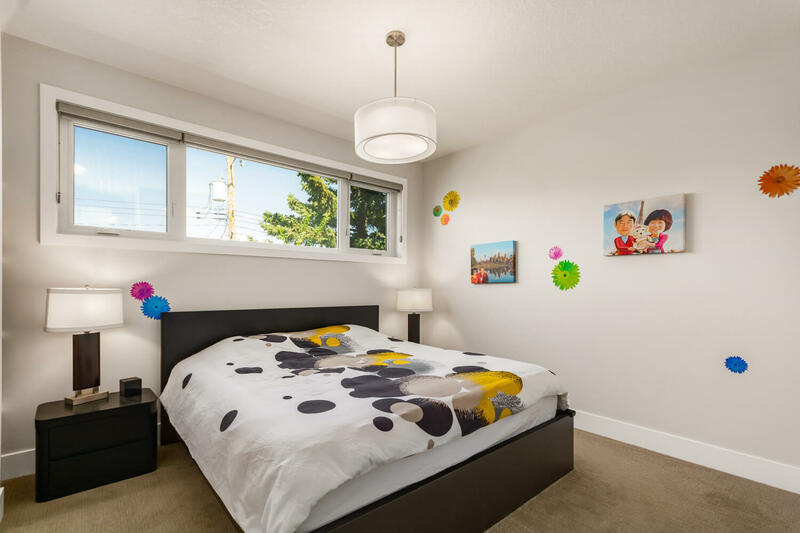 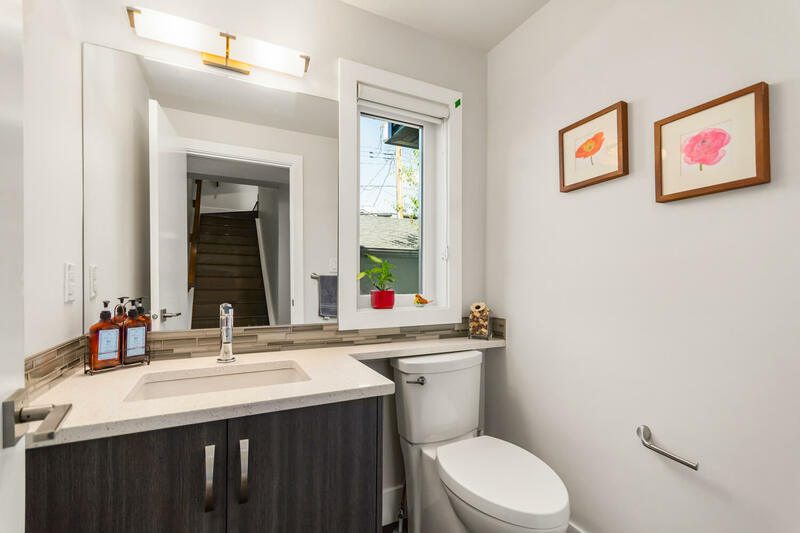 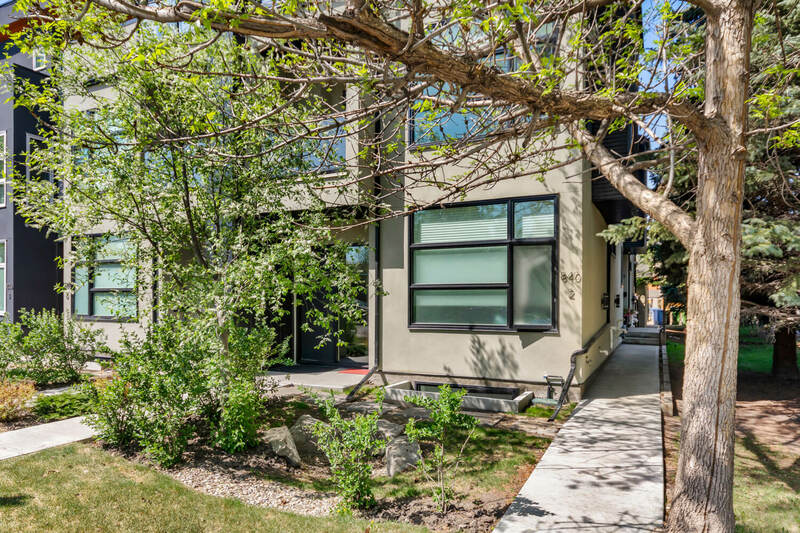 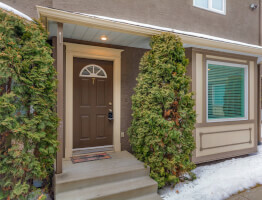 Perfect for living an inner-city lifestyle, this beautiful three bedroom modern home offers privacy, convenience and 2100 sqft of developed space. 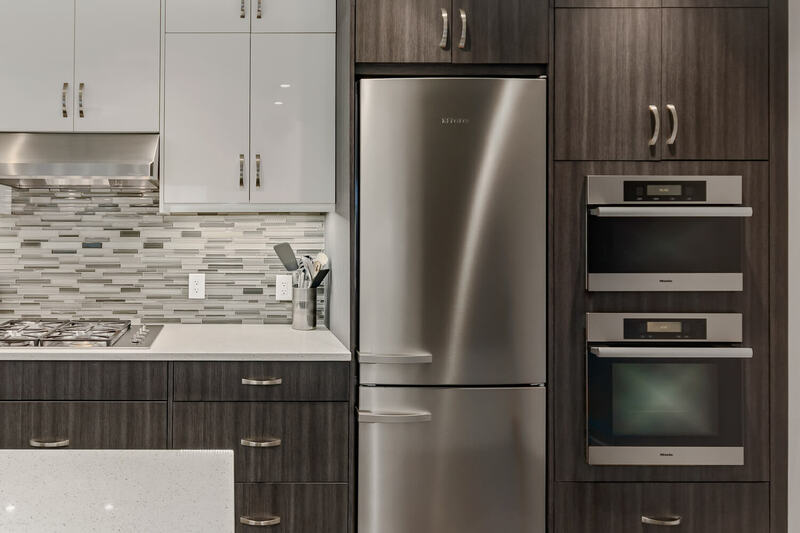 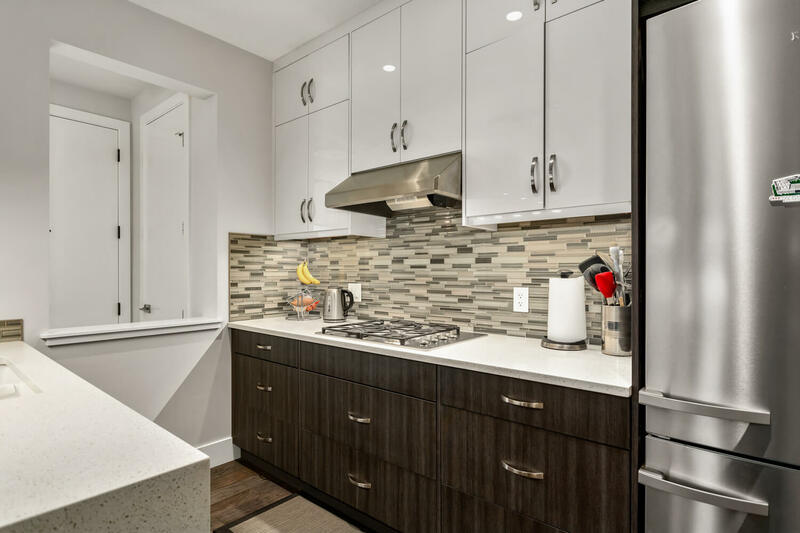 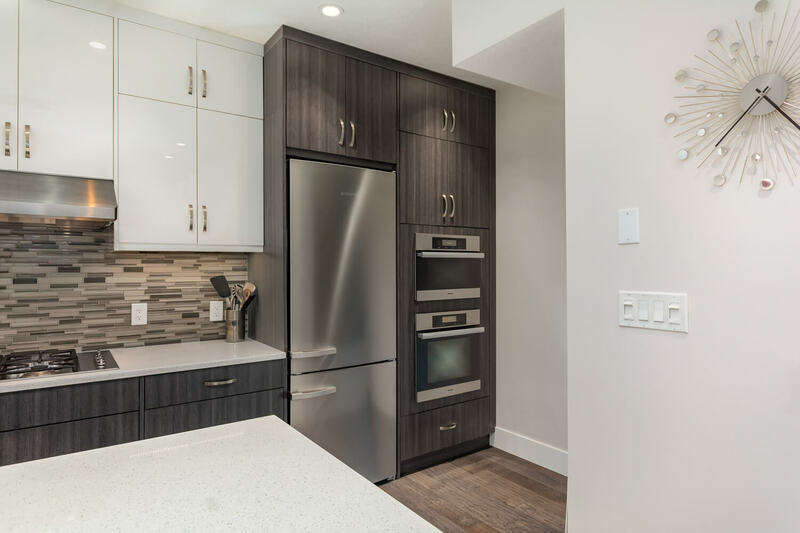 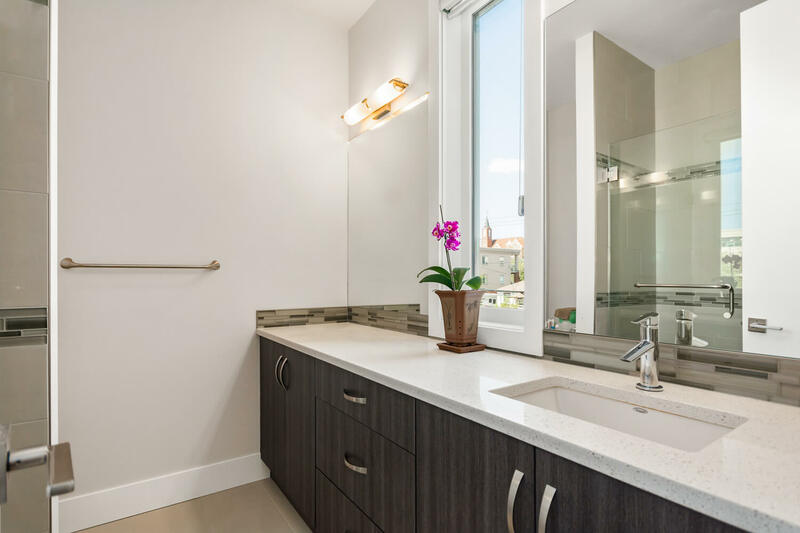 With hardwood floors throughout, the main level hosts a fully upgraded kitchen with gorgeous Miele appliances including professional steam & convection ovens, quartz countertops, and sleek high-gloss white cabinetry. 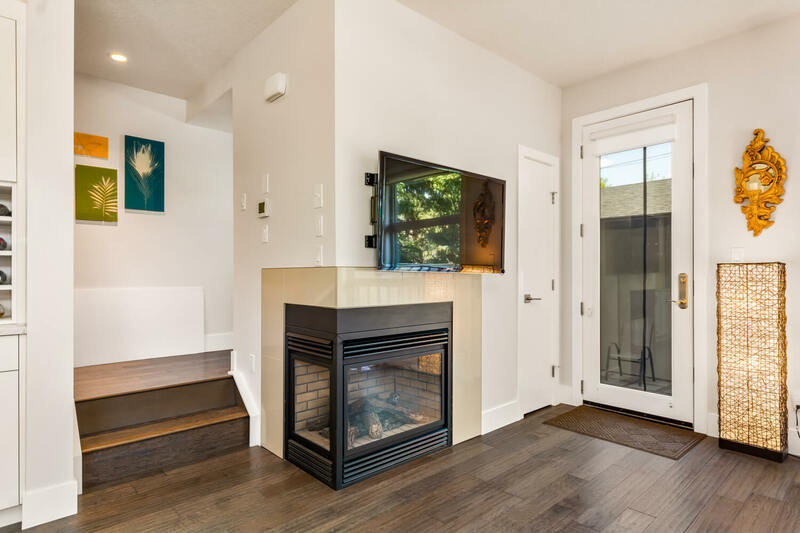 The open living & dining room features a two-sided gas fireplace and access to a secluded, low-maintenance backyard. 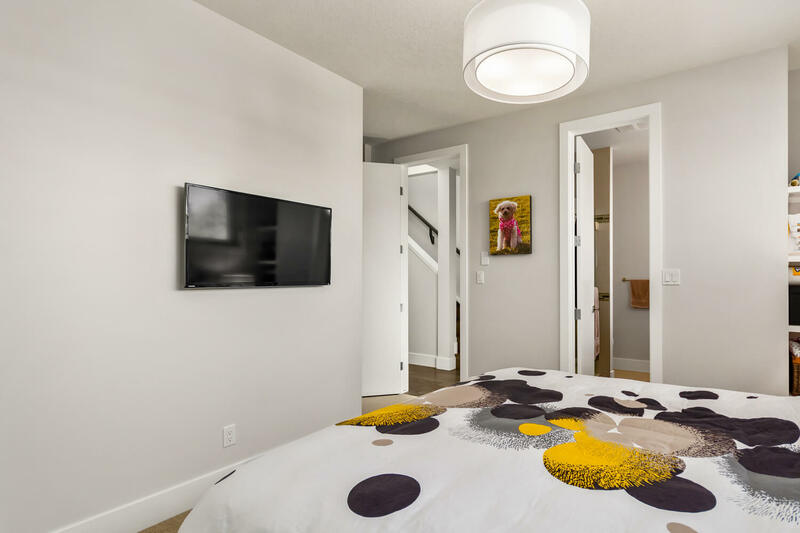 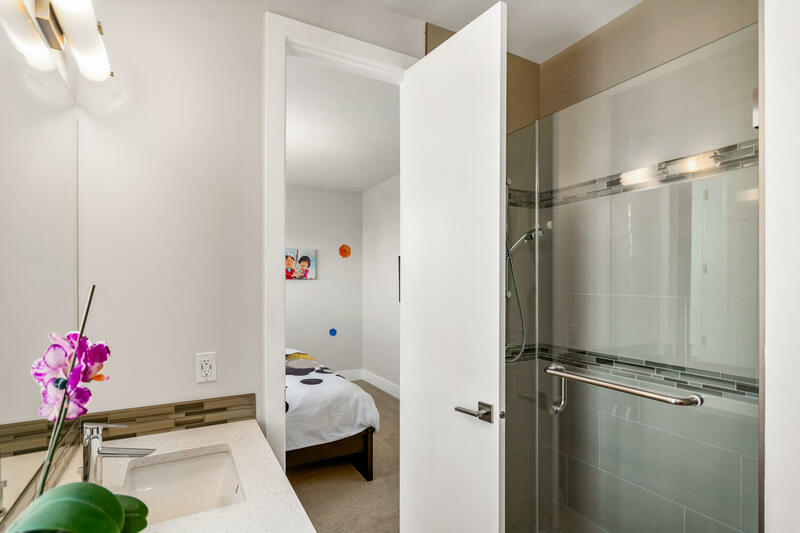 The second floor hosts two bedrooms including the master suite with walk-in closet and a four-piece ensuite bathroom with glass shower. 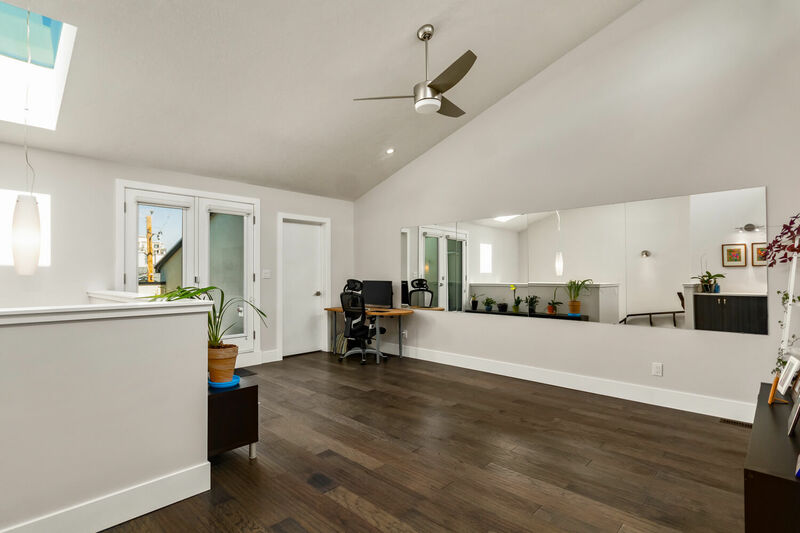 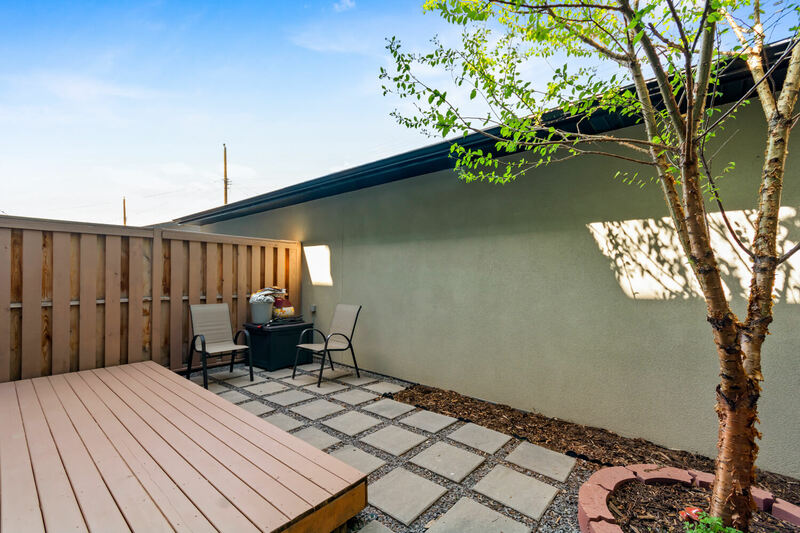 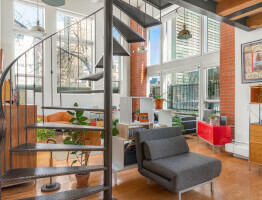 The lofted third level is ideal as a yoga/artist’s studio or home office and includes a rooftop patio and wet bar. 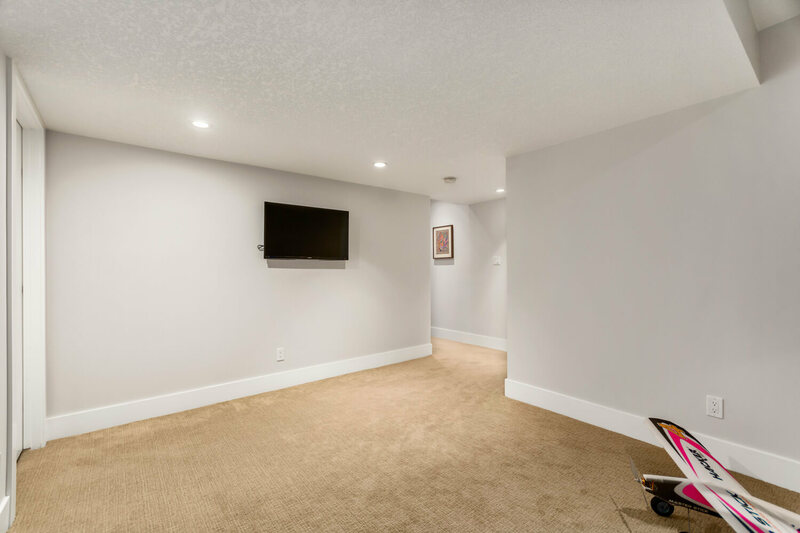 AC, water softener and two outdoor gas lines. 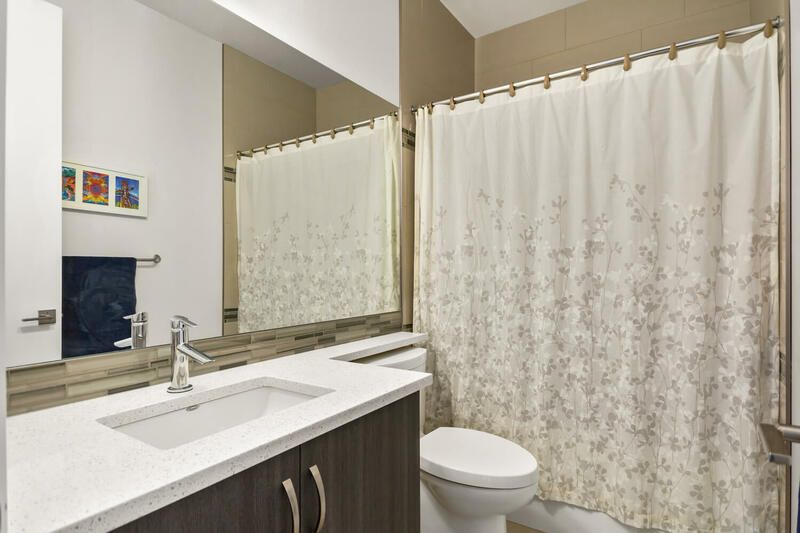 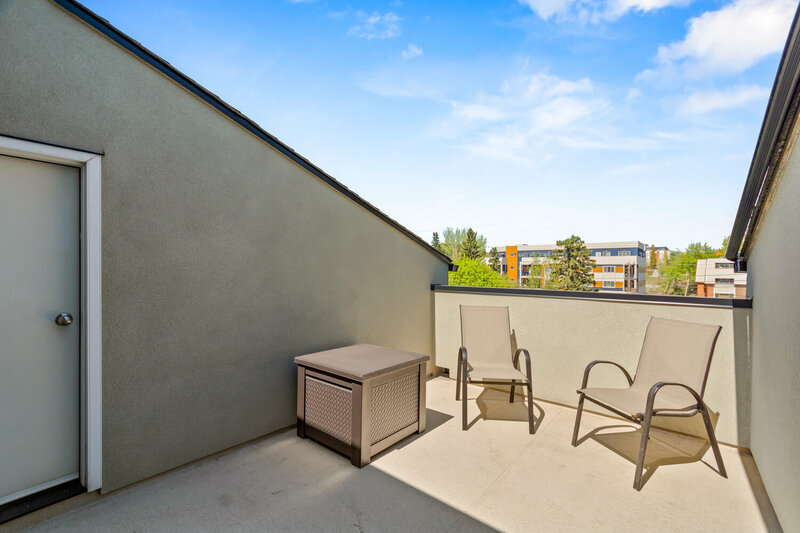 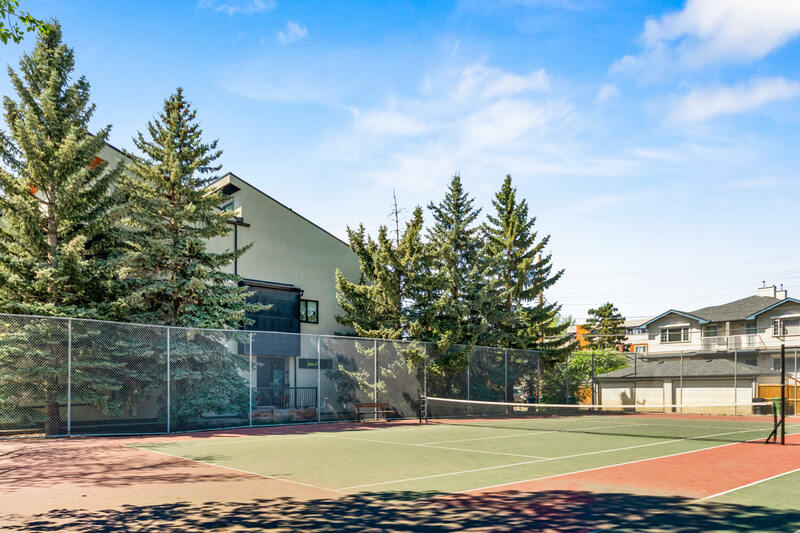 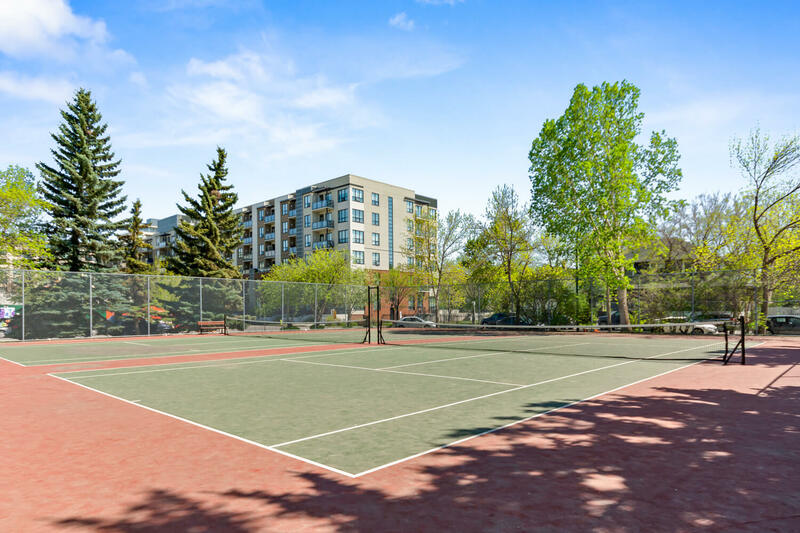 Set directly next to community tennis courts and minutes to downtown by bike, car, or train. 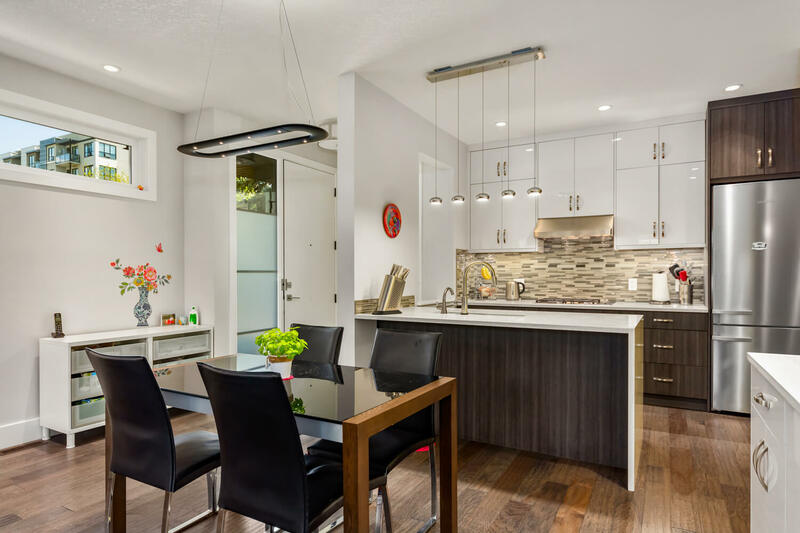 Enjoy strolling to top-rated local restaurants, cafes, parks, and boutiques.